Lots happened at this past Monday's Rotary meeting! Welcome new member Keren Escobar and 25-year pin presented to Chandra Kania. Foundation Fund Program featuring Brian Parent, CEO of Families First, Colleen Mitchell, Richard Wyma and Don Marsh. - Chandra Kania was presented with his 25-Year Rotary pin. He’s been with our Club for the past 3 years, but has been a Rotarian for 25 years. Congratulations, Chandra! - The Club warmly welcomed Keren Escobar as our newest member. Sponsored by Sheylen Jagajodhy, Keren is working towards her PHD In Social Work. The focus of the program for the meeting was the Rotary Club of Windsor Foundation Fund. First up was Brian Parent, CEO of Familes First Funeral Home, who spoke about leaving a legacy. He explained how funerals have changed over the years – that no longer are they seen as cookie-cutter ceremonies, but as unique celebrations of life, highlighting each person’s individuality. He ended by encouraging everyone to make things easier for their loved ones by filling out the provided “Life Organizer”, a tool to inform executors about where to find essential documents. Next, PP Colleen Mitchell gave an overview about Community Service Grants. The program began in 2013/2014 as a result of members of the Club wanting to have more impact in our own community. Since its inception, we’ve distributed $274,850 to local organizations. Richard Wyma presented the Rotary Legacy Forest. A huge project, this forest will create 70 acres of natural habitat by planting 50,000 trees and a wetland in lands acquired as part of the Cedar Creek Conservation Area. All 11 Area 9 & 10 Rotary Clubs, including the new Global e-club, are on-board to help with this initiative, with the goal of leaving a “lasting legacy of a cleaner and healthier environment for generations to come”. In total, Rotary Clubs are contributing $75k of the $125k project. ERCA was successful at finding grants to cover the remaining $50k. Don Marsh, Chair of the Foundation Fund, ended the program by reminding us that the Foundation is the “pipeline” for the Club, helping with the funding of all the projects we do. 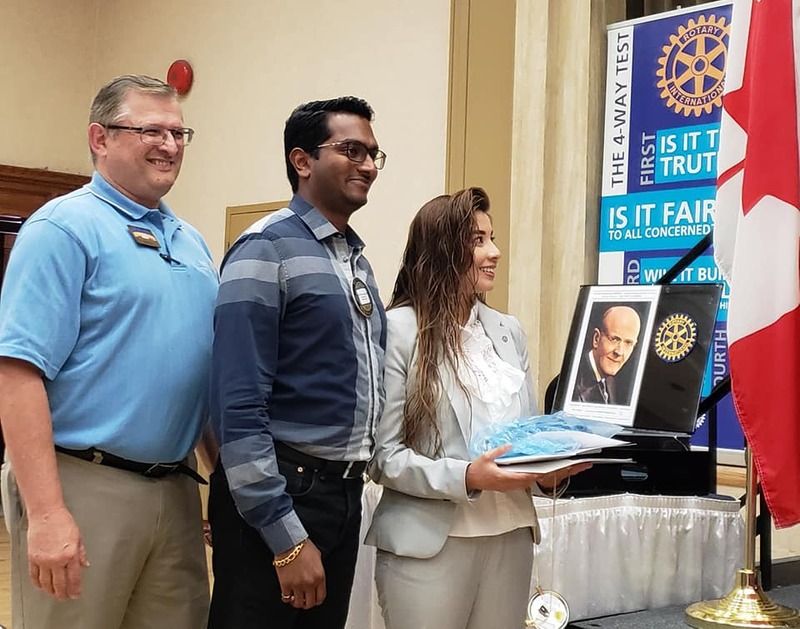 The Foundation Fund brochure was distributed to members and explains various ways to leave a legacy gift - one of the most valuable ways to help Rotary Club of Windsor Foundation Fund continue to help people in our community and around the globe.